Music Celebrations International is pleased to present the ninth-annual Windy City Choral Festival, April 14-16, 2016, in Chicago, Illinois. 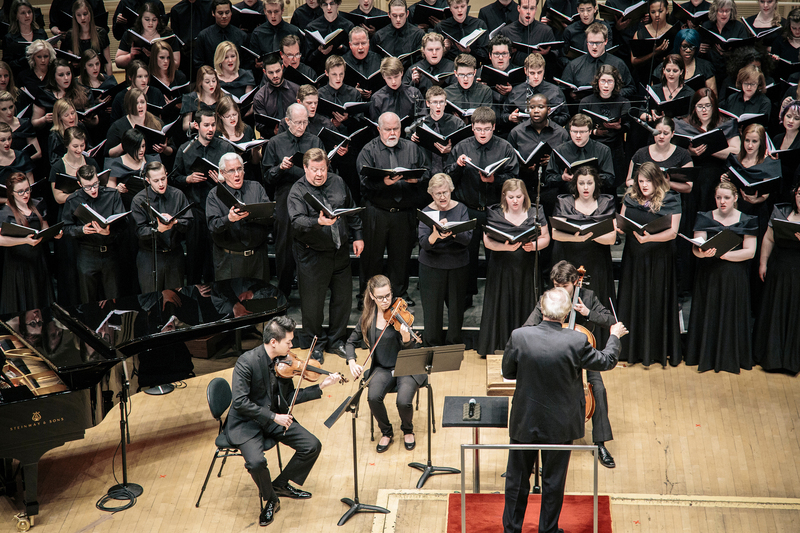 Mixed (SATB) choirs will join together to sing in one of the world’s great concert halls – Orchestra Hall at Symphony Center, home of the Chicago Symphony Orchestra. In addition to being part of the Windy City Festival Chorus, four choirs will be selected by audition to conduct stand-alone performances on stage during the finale concert. World-renowned choral conductor, composer, and Director of Choral Activities at Oklahoma State University, Dr. Z. Randall Stroope, will serve as Artistic Director, and will lead the rehearsals and finale performance. The name of Chicago was appropriately drawn from an Indian word meaning “strong” or “great.” True to its name, Chicago proudly offers some of the world’s best museums, the highest buildings, the most renowned orchestras and choirs, the world-class Brookfield Zoo, a beautiful lakefront skyline, and of course, Chicago dogs and pizza! With its wonderful musical heritage, Chicago will be the ideal host city to choirs around the country for this magnificent festival experience. All concert and tour production will be professionally provided by Music Celebrations International. For more information, please visit the festival website. We hope to see you in Chicago in 2016!